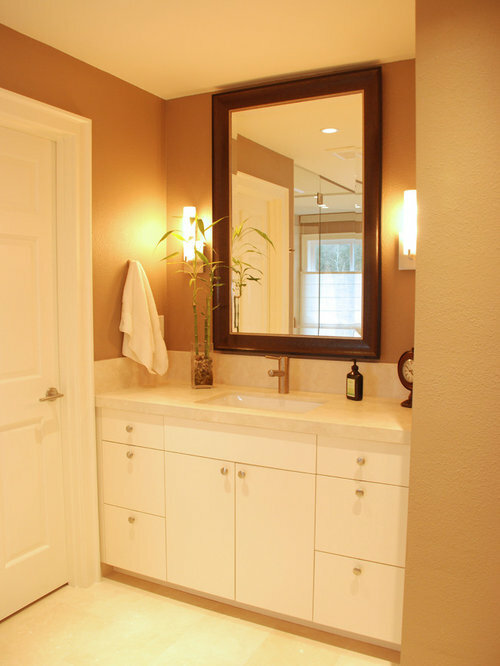 This spacious bathroom boasts white painted flat panel custom cabinetry, two separate vanities, a jacuzzi tub, a separate shower and a toilet hidden behind a pocket door. 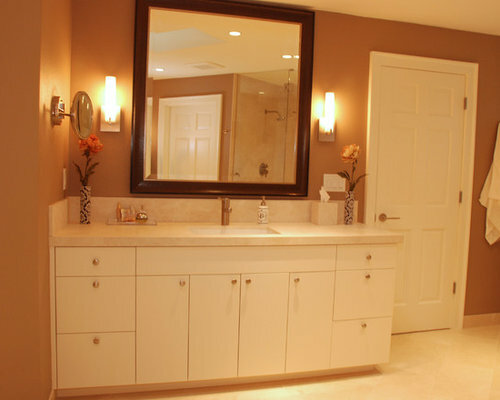 Framed mirrors above the vanities add to the classiness of this space. 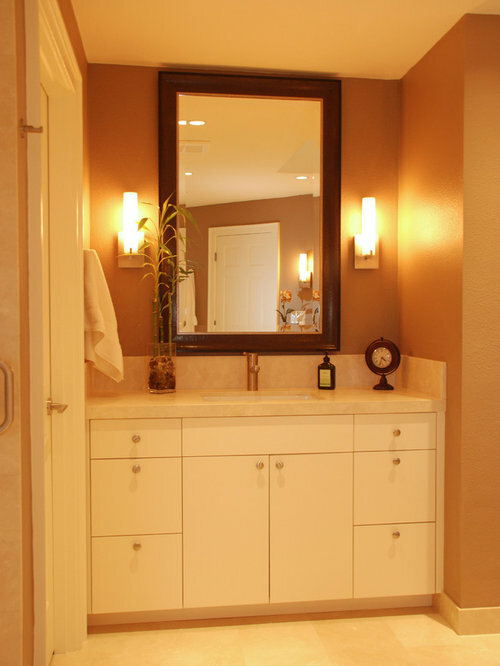 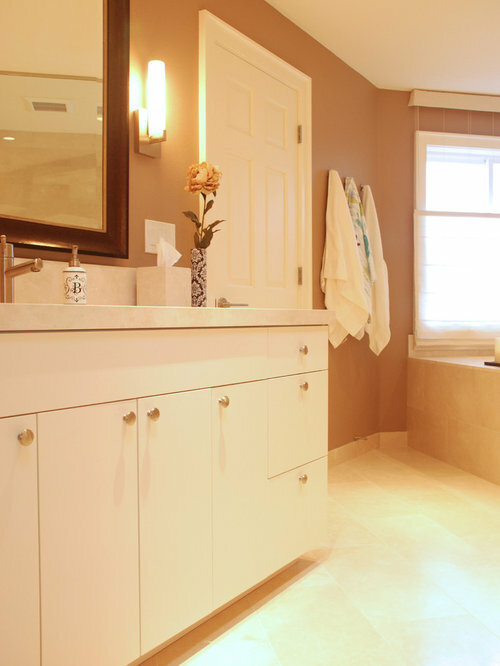 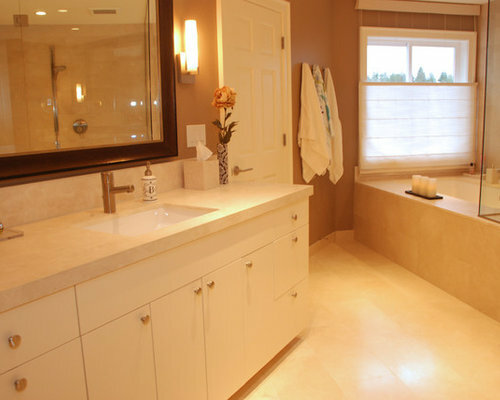 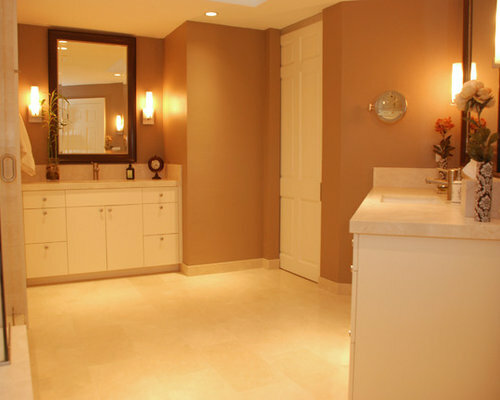 The brown paint on the walls blends beautifully with the beige tile that covers the floor and surrounds the tub. 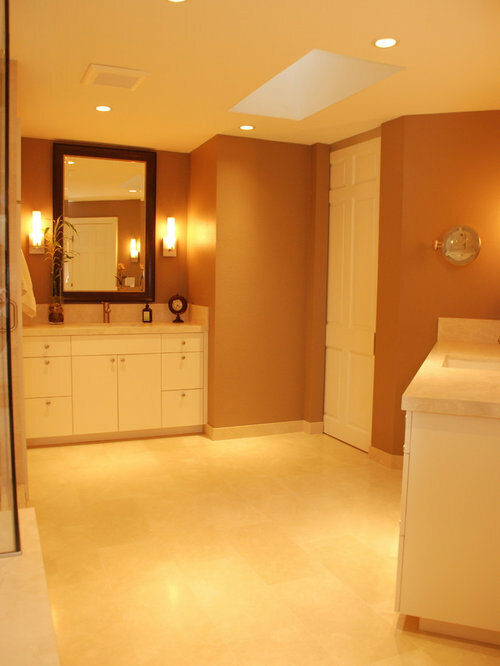 Skylights and recessed lighting add the perfect amount of ambiance.